In addition to being regulated by the Fair Debt Collection Practices Act (FDCPA), South Carolina collection agencies are also regulated by South Carolina debt collection laws. Discover: South Carolina collection requirements, bad check laws (NSF), statutes of limitations for both debts and judgments, garnishments plus South Carolina collection agency license and bonding information. § SECTION 37-5-108. Unconscionability; inducement by unconscionable conduct. (2) With respect to a consumer credit transaction, if the court as a matter of law finds that a person has engaged in, is engaging in, or is likely to engage in unconscionable conduct in collecting a debt arising from that transaction, the court may grant an injunction. In addition, the consumer has a cause of action to recover actual damages and, in an action other than a class action, a right to recover from the person violating this section a penalty in the amount determined by the court of not less than one hundred dollars nor more than one thousand dollars. For purposes of this subsection and subsection (3), the term ‘collecting a debt’ in a consumer credit transaction includes the collection or the attempt to collect any rental charge or any other fee or charge or any item rented to a lessee in connection with a consumer rental-purchase agreement as described in Section 37-2-701(6). (b) In applying subsection (1), consideration may be given to the extension of credit to a consumer if, considering the consumer’s current and expected income, current obligations, and employment status, the creditor knows or should know that the consumer is unable to make the scheduled payment on the obligation when due. Rental renewals necessary to acquire ownership in a consumer rental-purchase agreement are not obligations contemplated in this item (b). (6) No action at law claiming unconscionable debt collection may be commenced in any court until at least thirty days after the facts and circumstances of any claim of unconscionable conduct in collecting a debt arising out of a consumer credit transaction has been filed in writing with the administrator of the Department of Consumer Affairs. The administrator shall immediately provide to the person or organization complained against with a copy of any complaint alleging unconscionable debt collection practices filed with the Department of Consumer Affairs. The administrator shall immediately provide to the Director of the Consumer Finance Division of the Board of Financial Institutions a copy of any written claim of unconscionable conduct in collecting a debt filed against a supervised lender under this title or a restricted lender under Title 34. A creditor or debt collector may only take such action as is authorized by law to protect its collateral during the thirty-day state agency review period. The administrator shall take immediate steps to investigate, evaluate, and attempt to resolve such complaints. The administrator and director shall jointly take immediate steps to investigate, evaluate, and attempt to resolve complaints involving supervised and restricted lenders. If in an action, properly filed after the thirty-day state agency review period with regard to conduct in collecting a debt arising out of a consumer credit transaction, in which unconscionability is claimed the court finds unconscionability pursuant to subsection (1) or (2), the court shall award reasonable fees to the attorney for the consumer or debtor. If the court does not find unconscionability and the consumer or debtor claiming unconscionability has brought or maintained an action he knew to be groundless, the court may award reasonable fees to the attorney for the party against whom the claim is made. 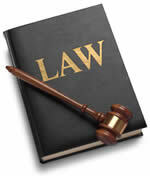 In determining attorney’s fees, the amount of the recovery on behalf of the consumer is not controlling. Knowing and abiding to the proper South Carolina debt collection laws is important for both creditors and collection agencies alike. There are debtor’s rights attorneys who are just waiting for creditors or collection agencies to slip up. If you mistakenly violate the South Carolina debt collection laws, you could create a liability for your business and even open yourself up to a expensive lawsuit. Please note: South Carolina debt collection laws can change over time, and you need to consult with an attorney before you use this information.